Navigating the retirement income world is difficult. You didn’t study retirement in school. You probably didn’t spend your career becoming an expert in retirement advice. And with all the terms floating around, it’s a full time job to keep up with everything that has to do with your retirement. However, it doesn’t take a rocket scientist to figure out that better rates mean you get a higher income. The best annuity rates in Atlanta will give you the highest monthly paycheck. And choosing the right type of annuity—with the right provider—will do the best job to protect the retirement funds you’ve worked so hard to save. There are several main mistakes that people can make with regard to the annuity products they acquire. If you have been saving for retirement, but you’re not quite sure if your savings are enough to provide you with an income for the rest of your life, you need a robust strategy that mitigates risk, protects your investment, maximizes your income, and reserves the most inheritance for your descendants. 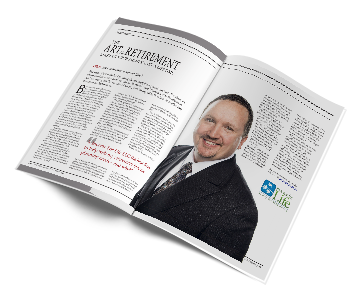 When you work with the retirement income professionals at Income For Life, you work with people who are here to guide you carefully through the retirement planning journey. Schedule your call with Income For Life today.